It’s that time of the year again! The election is coming! 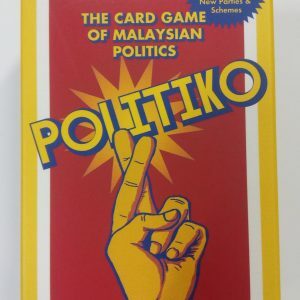 POLITKO is a card game about wacky scheming, cynical realpolitik—in other words, it is a game about winning the Malaysian general election. 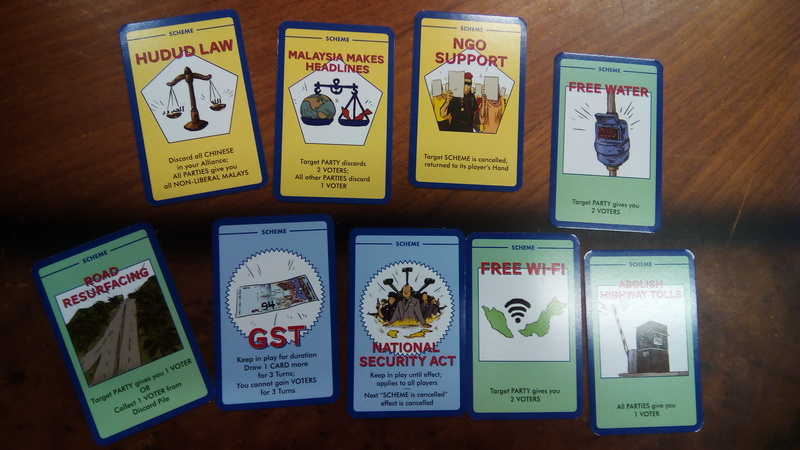 This revised pack has two new political parties and 10 new schemes! 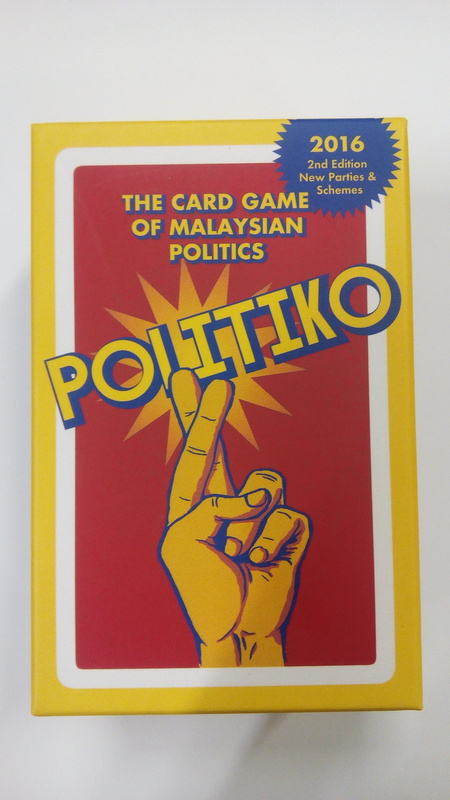 Woo voters with cash handouts, hudud law, or petrol subsidies. 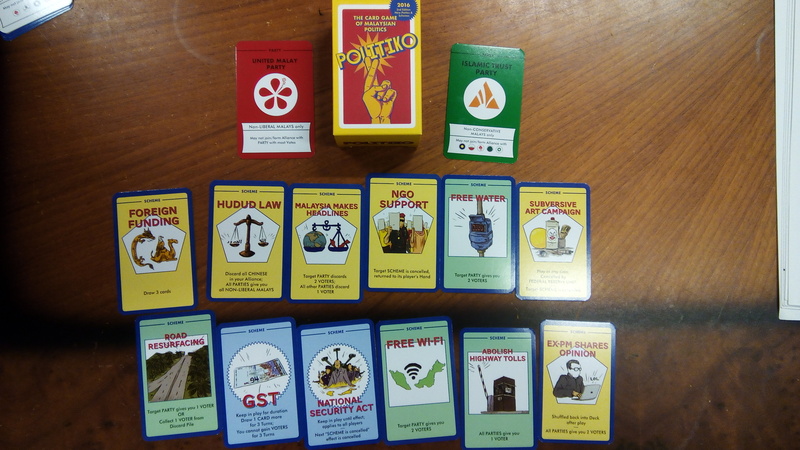 Choose from 9 + 2 new added distinct (and familiar) political parties to lead to victory. Play with up to 6 friends, of any race. But are they really your friends? Remember: it’s not about the people. It’s about Putrajaya.